This blog (last updated 10 March 2019) marks the completion of two years worth of monthly offerings highlighting interesting stories buried in the Annals of Irish Mathematics & Mathematicians, which currently documents over 3750 people. 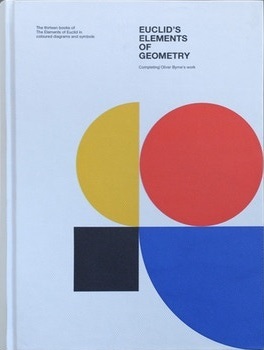 It's also the 8th now-bimonthly Atlas of Irish Mathematics blog with regional focus. Starting in June 2017, we've shone a light on people from Donegal, Wexford, Armagh, Limerick, Westmeath, Mayo and Belfast. On this August occasion, it's Wicklow's turn. Included below are comedian Dara Ó Briain, translator Marjorie Long whose key work was done in the 1920s, and engineer and inventor Oliver Byrne who published a futuristic geometry book in the 1840s, as well as people working in more traditional fields. Arguably the most influential Wicklow person who contributed to maths was Oliver Byrne (1810-1880) from Avoca. Little is known about his early life or education, but he made a career for himself as an engineer and inventor, both in England and in the USA. 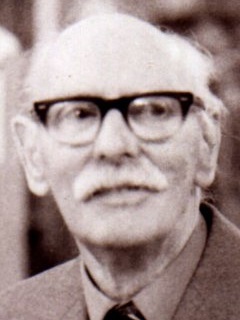 He published numerous books on maths and other subjects, and was also a vocal nationalist, even claiming kinship with Billy Byrne. He has been celebrated twice at Converence, first by Frank Swetz & Victor Katz, and more recently by Sue Hawes and Sid Kolpas, the latter in great detail. 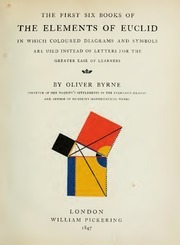 Byrne's masterpiece was his The First Six Books of the Elements of Euclid in which Coloured Diagrams and Symbols Are Used instead of Letters for the Greater Ease of Learners (William Pickering, 1847), an astonishing volume way ahead of its time. Its innovative pages burst with glorious colour, the graphics foreshadowing Mondrian, and the Bauhaus and De Stijl movements. Needless to say, it was not a publishing success at the time--it certainly went unnoticed in Famine-stricken Ireland--though the tome was displayed in London at 1851's Great Exhibition. The printing was a technical triumph, but at a cost of 25 shillings, it well beyond the reach of most of its intended audience. Largely forgotten until recent times, despite occasional attempts to champion it, in 2010 Byrne's Euclid finally became widely available in facsimile form via a handsome Taschen edition. In 2014, UCD's Peter Lynch wrote about this in the Irish Times. More recently, a project has been launched to do for the remaining books of Euclid what Byrne did for the first six. The associated "Completing Oliver Byrne's work" KickStarter campaign has raised over €250,000 to date, with a projected delivery date of December 2018. 1. John Whittingham (1712-1778) was born in Wicklow, and was educated at TCD (BA 1732, MA 1735). He taught maths and law there until the early 1750s, spending the rest his life as a clergyman. 2. 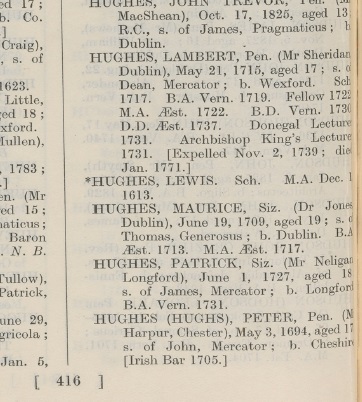 Astronomer Henry Ussher (1741-1790) was born in Dunganstown, near Arklow, Wicklow, and was educated at TCD (BA 1761, MA 1764). He was Donegall lecturer of maths there 1769-1770 and in 1783 became the first Andrews professor of astronomy, setting up Dunsink observatory and serving as its first director until he relatively early death. 3. Thomas Meredith (1777-1819) was born in Templerany, near Arklow, Wicklow, and brought up in Dublin. He was educated at TCD (BA 1795, MA 1805, DD 1812), where he taught 1805-1813, then switching to parish work before his comparatively early death. 4. Oliver Byrne (1810-1880) was born 31 July Avoca, Wicklow. Nothing is known about his education. He started publishing in Dublin at age 20, but spent most of the rest of his life in England and the USA. He authored several books, and is remembered for his volume giving an innovative coloured treatment of Euclid. 5. Arthur Panton (1843-1906) was born 13 May in Blessington, Wicklow and was educated at TCD (BA 1866, MA 1870, Fellow 1973, DSc 1891). He taught at TCD from 1884 on, also serving as junior bursar. He co-authored The Theory of Equations: With an Introduction to the Theory of Binary Algebraic Forms (1881) with William Snow Burnside. 6. (Joseph) Riversdale Colthurst (1874-1958) was born 30 March in Danesfort, Cavan, and was educated at Cambridge (Christ's BA 1896, MA 1901). His career was spent as a clergyman, first in England, and from 1923 on in Wicklow (Kilbride near Arklow, and Calary). He published on special relativity and other topics, and was active in DIAS affairs in the 1940s. 7. Marjorie J. Long (1886-1930s-?) was born 16 July in Arklow, Wicklow. Her father was a bank manager, and the family moved to Mullingar and later Dundalk (where he died in 1908). Her later schooling is revealed in this Journal of Education (Dec 1908, page 828) snippet, which reports that among RUI degree recipients, "the first place in Mathematics this year fell to a woman, Marjorie Long, formerly a student of Victoria College, Belfast, now of Girton College". Soon thereafter, The Educational Times (1 Jul 1909, page 274) reported that in the Cambridge Mathematical Tripos Part II, "Miss Marjorie Long (North London Collegiate School and Girton), equal to the Fourth Wrangler of last year, is placed (with two men) in Class I, Division 2." In 1910, she submitted the paper "On Geiser's Method of Generating a Plane Quartic" to the Proceedings of the LMS. She was teaching at Bedford College when that was published in 1911, and stayed there at least a decade. She translated the influential book Lezioni di calcolo differenziale assoluto (Alberto Stock Editore, 1925) by Tullio Levi-Civita, ed by Enrico Persico, as Absolute Differential Calculus (Blacktie & Son, 1927). She worked in the library of International Labour Office in Geneva in the 1930s. 8. Mathematical physicist Richard Boylan (1904-1964) was born 3 February in Bray, Wicklow, and was brought up in Derry and Dublin. He was educated at UCD (BA 1924, MA 1930? ), having attended the University of Vienna (1925-1928) thanks to a Rockefeller scholarship. He briefly taught physics at UCD, working with Nolan and Dowling, then in 1931 he left academia for a distinguished religious life as Dom Eugene, largely based in Roscrea. 10. Maurice OReilly was born 3 Oct in Dublin, and grew up in Enniskerry, Wicklow. He was educated at TCD (BA 1977, PhD 1983). His thesis "On Uniformly Convergent Finite Difference Methods for Non-Linear Singular Perturbation Problems" was done under John Miller. He has taught at Dundalk IT, in Dar es Salaam, and at St. Patrick’s College, Drumcondra (now DCU). Over the years his interests have turned from numerical analysis to mathematics education. 11. Meteorologist Donal O'Sullivan was born in Gorey, Wexford, and grew up in Glenealy, Wicklow. He was educated at UCD (BSc 1978, MSc 1979) and at the University of Washington in Seattle (PhD 1986). His thesis on "Rossby Wave Propagation on Beta-Planes" was done under Jim Holton. He worked for a decade as a meteorologist before switching to software engineering. 12. 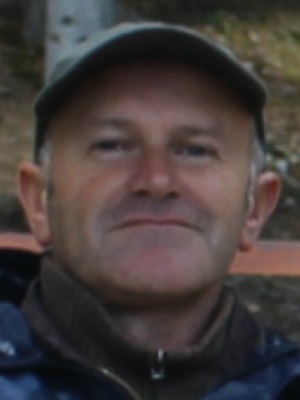 Eoin Coleman (aka Oren Kolman, 1959-2015) was born 31 July in Greystones, Wicklow, and was educated first at UCD (BA 1980, MA 1986 with thesis done under Maciej Klimek). He taught at the Hebrew University of Jerusalem (1987-1991), and UCD & DIT (1991-1994), and then studied music for a few years, earning a doctorate in musicology. In time, he returned to maths research at the University of Caen, where his 2009 PhD on "Logical Aspects of Slender Groups" was done under Pierre Matet. 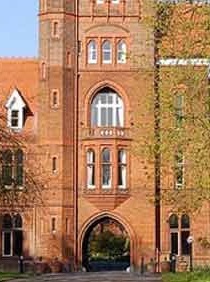 He then taught at East Anglia, Cambridge and the University of Bedfordshire, before his untimely death. 13. 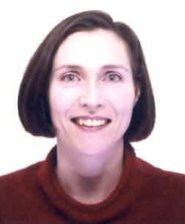 Pauline Mellon was born in Avoca, Wicklow, and was educated at UCD (BA 1985, MA 1986, PhD 1990), earning an NUI Travelling Studentship which allowed her to do research in Tuebingen. Her thesis on "Symmetric Banach Manifolds" was completed under Sean Dineen. Since 1992 she has taught at UCD, and she is believed to be the first Irish woman to supervise a pure maths doctorate in Ireland. 14. Statistician Gerard Keogh is from Arklow, Wicklow, and was educated at first at NIHE Limerick (BSc 1986). 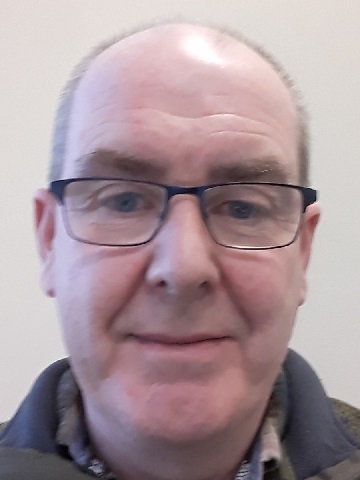 He taught at RTC Cork for a few years and got a master's at DCU (1991) for a thesis on "Numerical Solution of Ordinary and Algebraic Differential Equations using One Step Methods" with John Carroll. Since then he has been at the CSO, where his interests currently include environmental stats. He was awarded a PhD at TCD (2006) for a thesis on "Univariate Time Series Modelling and Forecasting Using TSMARS" done under John Haslett. 15. Engineer PJ Cregg was born 6 May in Bray, Wicklow, and was educated at TCD (BA BAI 1988, PhD 1992). His thesis "On the Theory of Debye and Néel Relaxation of a Single Domain Ferromagnetic Particle" was done under Bill Coffey. He now lectures in EE at WIT, where his interests include magnetism, maths modelling and telecommunications. 16. 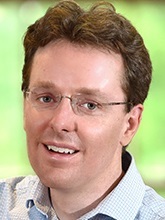 Bioinformatics and genomics expert Aaron Golden was born 23 January in London and grew up in Bray, Wicklow, and in Dublin. He was educated at TCD (BA physics 1991), QUB (MSc computational science 1993) and NUIG (PhD astronomy 1999), his thesis on "High speed optical photometry of the Crab, Geminga and PSR B0656+14 pulsars" being done under Michael Redfern & Andrew Shearer. He then joined the staff at NUIG where he switched his interests to mathematical genomics, and in time supervised over 10 PhDs. He spent 2011-2016 at the Albert Einstein College of Medicine and Yeshiva University in NYC. 17. Helen Joyce was born 23 July in Dublin, and grew up there and in Bray, Wicklow. She was educated at TCD (BA 1991), Cambridge (effectively MASt 1992), and at University College London (PhD 1995). Her thesis on "Packing Measures, Packing Dimensions, and the Existence of Sets of Positive Finite Measure" was done with David Preiss. After postdocs at Cardiff & Jyvaskyla, she worked at Cambridge, and also was the founding editor of the Royal Statistical Society's magazine Significance. 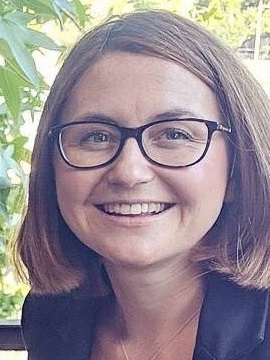 Since 2005 she has written for the Economist, where she is now the finance editor. 18. 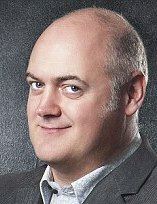 Entertainer Dara Ó Briain was born 4 Feb in Bray, Wicklow, and studied maths and physics at UCD (BA, 1994) before embarking on a successful career in comedy. 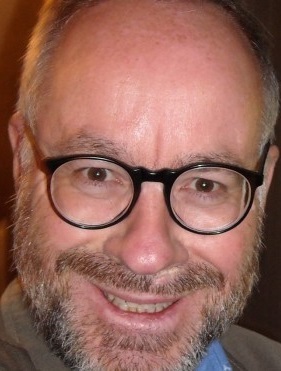 His TV work in the UK includes School of Hard Sums with Marcus de Sautoy. 19. Peter Clifford was born in Bray, Wicklow, and was educated at TCD (BA 1997) and at MIT (PhD 2003), where his thesis on "Algebraic and Combinatorial Properties of Minimal Border Strip Tableaux" was done with Richard Stanley. His career has mostly been spent at Science Foundation Ireland. He assists with coaching the Irish Maths Olympiad team. 20. 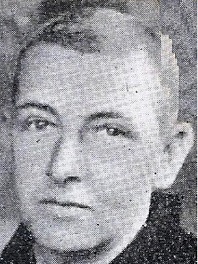 Peter McNamara from Greystones, Wicklow, was born 6 April. He was educated at TCD (BA 1999) and at MIT (PhD 2003), where his thesis on "Edge Labellings of Partially Ordered Sets" was also done with Richard Stanley. His career has mostly been spent at Bucknell. 21. Miriam Logan was born in Wicklow and was educated first at UCD (BSc 2005, MSc 2006), where she earned an NUI Travelling Studentship. Her 2013 PhD from Yale on "Compositions of Averaging Operators on Spheres" was done with Roger Howe. She has taught at Bowdoin College and Yale, and is currently at UCD. 22. Laura Cooke (nee O'Brien) was born 3 May in Greystones, Wicklow, and was educated at UCD (BSc 2006, PhD 2012) as well as at Oxford (MA 2008). Her thesis on "Mathematical and Numerical Modelling of Extreme Ocean Waves with a Historical Survey of Damaging Events in Ireland" was done under Frédéric Dias. After 4 years at Monash and 1 at DIT she is now back at UCD in the Energy Systems Integration Partnership Programme. 23. 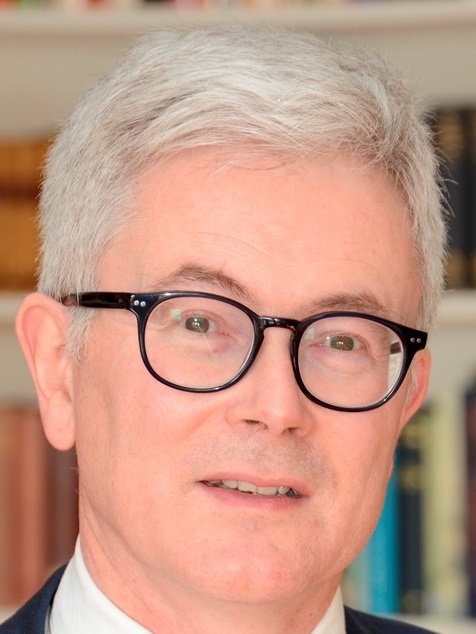 Theoretical physicist Peter Taylor was born 29 October in Bray, Wicklow, and was educated at UCD (BSc 2006, PhD 2011) and Cambridge (MASt 2007). His thesis on "Green's Functions on Axially Symmetric Space-Times with Applications in QFT and the Self-Force" was done under Adrian Ottewill. After a few years at TCD and Cornell, he settled at DCU. When he was younger he was active both in boxing and in the Irish Maths Olympiad. 24. 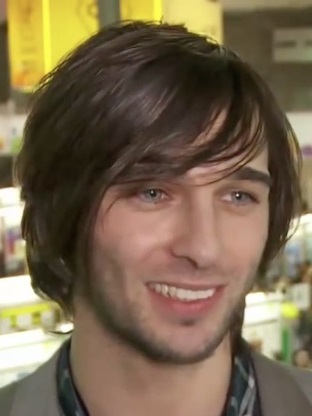 John Sheekey was born 5 November in Ashford, Wicklow, and was educated at UCD (BSc 2007, PhD 2012). His thesis "On Rank Problems for Subspaces of Matrices over Finite Fields" was done under Rod Gow. After spells at Padua, VUB Bruxelles and Ghent, he now works at UCD. 25. Mechanical engineer Lisa Cahill was born in Wicklow and educated at UL (BE 2007, PhD 2013). Her thesis on "Single and Multiple Crack Growth in Orthotropic Composite Laminae: a Numerical and Experimental Investigation" was done under Conor McCarthy & Stéphane Bordas. She works at UCD. 26. 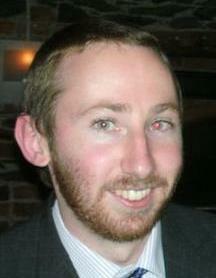 Computational statistician Arthur White was born in Bray, Wicklow, and educated at TCD (BA 2009) and UCD (PhD 2013). His thesis on "Clustering Multivariate and Network Data using Mixture and Mixed Membership Models" was done under Brendan Murphy. He now works at TCD. 27. 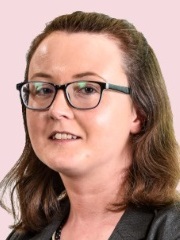 Theoretical physicist Elizabeth Hynes was born in Wicklow town and educated at UCD (BSc 2012) and Swansea (PhD polymer physics 2018). She is now a trainee patent attorney in the UK.